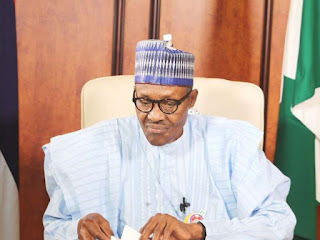 President of the Federal Republic of Nigeria, President Muhammadu Buhari has admitted that he takes his time before responding to things that requires his signature as he takes his time before signing anything be it his cheque or even agreements. Although, the President noted that this is simply because he an ex-military man, he made this known while explaining his delay in signing the $3 trillion African Free-Trade Agreement, during a joint press conferencewith the visiting South African President, Cyril Ramaphosa. According to Buhari, “I am very careful about what I sign, whether it is my cheque book or agreements, especially when it involves nations and states. As your President has said, we are so populated and have so many young unemployed citizens and our industries are just coming up.